Two years ago, hunkered down in the tundra of a Minneapolis winter, I decided to try what so many of my friends and training partners already did: strap some extremely skinny sticks, pick up some ungainly long poles and take a stab at skate skiing. I had never cross-country skied, despite an extensive background in alpine. But, I reasoned that I was fit enough to pick it up fairly quickly. That couldn’t have felt farther from the truth. My first time out, I was doubled over every 10 minutes in oxygen debt; my hips, glutes and adductors quickly went from on-fire to wobbly to completely numb. Against the odds, it seemed, I had found something that was harder than trail running. 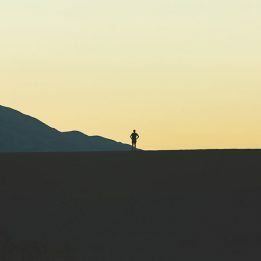 According to Scott Johnston, a coach with Uphill Athlete, all these things were making me a far better athlete and, in turn, a better runner. 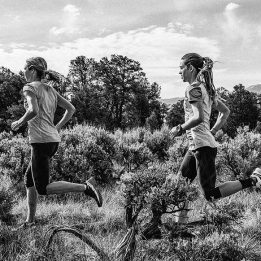 Johnson knows his stuff; he works with professional ultrarunners and ski mountaineers, coached four cross-country skiers who made the 2014 Olympics and has two going this year. 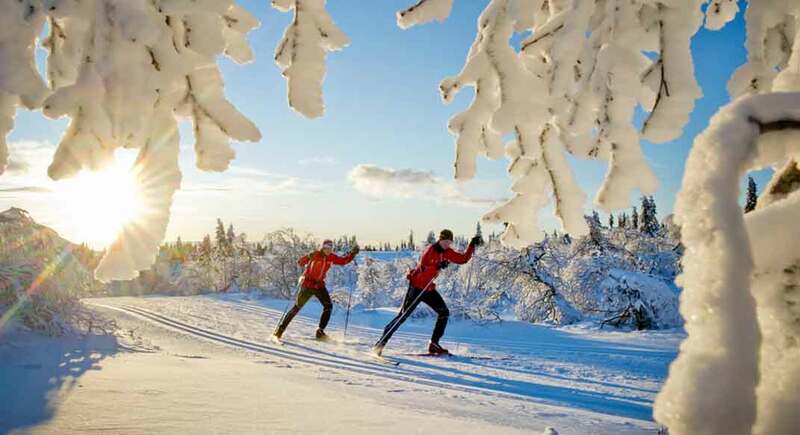 We chatted with him to get the basics on cross-country skiing, how it benefits runners and why it just might be the best form of winter cross training out there. 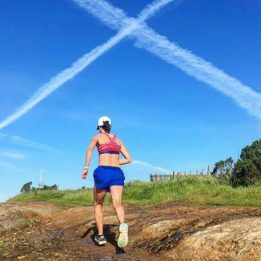 Cross training isn’t just a welcome break for your legs from the pounding of running; the right kind can actually help you address weaknesses and improve your performance as a runner when spring rolls back around. Because skiing uses poles and requires the use of all four limbs, your body’s oxygen uptake is significantly higher than when running. This means even the most fit runner could see an improvement in his or her aerobic capacity, says Johnston. Additionally, the balance component required for both classic and skate skiing can strengthen key core muscles and make you more injury resistant as a runner. Lastly, Johnston notes, the strength, agility and balance that come from cross-country skiing are an aid to running in the mountains and on the trails, where terrain is variable and more muscles and athletic skills might be called upon than when you’re running on the road. To that end, Johnson says, the benefits of cross-country skiing extend beyond helping your running; they can make you a better all-around athlete. It turns out, for all their fitness, runners are pretty lousy athletes. Skiing requires a far greater range of motion than running, and the barrier for entry is significant. “You have to ski a lot to get good at it,” Johnston says. But if you do, you’ll find yourself with better balance, coordination and proprioception, a stronger core and improved explosiveness, all of which will improve your running. You might even develop some elusive upper-body strength. But, rest assured, Johnson says, you’ll dispose of any excess muscle mass fairly soon after returning to running. One huge benefit of cross-country skiing is it allows you to very nearly mimic running fitness with little to no impact, allowing you to build a huge volume of work and possibly extend your running career, Johnston says. Since we’ve written about other forms of winter cross training before, how does cross-country skiing compare? And neither snowshoe running nor fat-tire biking will have the elevated cardiovascular effect of cross-country skiing. Even if you are skiing a lot, Johnston recommends running at least two days a week through the winter to decrease the transition time once the snow melts. “You have to build back the soft tissue elasticity and lower-leg strength needed for running,” he says. “One problem we see is that at the end of the season, skiers are very fit, but they don’t have the structural integrity to run as much as their cardiovascular system says they can. So they take all this fitness and jump into regular mileage and pull up with an Achilles or shin injury a month later.